Go to Domino online ordering to order a Pizza online. Have you got Google Earth on your computer? If so, then download the Google Earth Map of Domino's Pizza Glengormley. Is this the wrong position for Domino's Pizza Glengormley? If you think so, then modify its position. Very disappointed at dominos glengormley. The food took a long time to arrive. When it arrived, it was cold and flavourless, with very little toppings. It was undercooked, and I felt as though I was eating dough. This is not the first time that this has happened, but because of their busy period, I have always excused it. Tonight has been no better than the last few times. 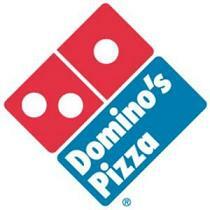 I normally use dominos quite a lot and so I'm very disappointed and thus will not be using dominos glengormley again. Won't be ordering pizza from Dominos again. The previous delivery both pizzas were burnt. The most recen delivery one pizza was undercooked, the second had so little toppings on it that it was impossible to say what type of pizza it was. Disappointing.